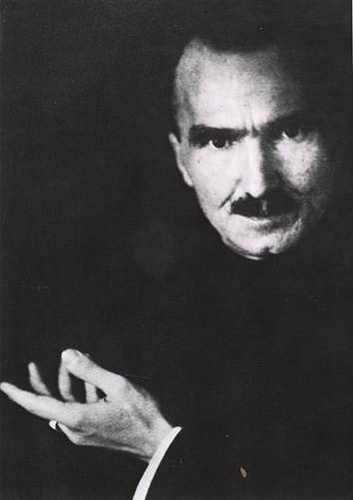 Nikos Kazantzakis was born on 18 February 1883 in Varvaroi – which is nowadays callded Mirtia- , a small village in the Perfecrure of Heraklio. Kazantzakis has left his birthplace many times in his life; when studying Law in Athens and afterwards philosophy in Paris, but also due to the numerous trips he has made to over 40 countries and have been the basis of his a series of books. Nonetheless Kazantazakis has never became a cosmopolitan writer and Crete has played a major role to that. One of Kazantzakis most outstanding works, that he has written while on Crete has been the epic poem of 33.333 verses, The Odyssey: A Modern Sequel, which took the author 14 years to complete. 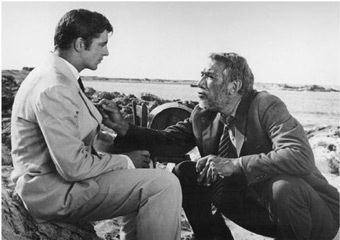 Some other of his most famous novels include Zorba The Greek (1946), Christ Recrucified (1948), Captain Michalis and the Last Temptation of Christ (1951). The latter work has created a great deal of controvercy, which lead many Greek religious concervatives to condemn his works, while the Catholic Church has added the Last Temptation of Christ to the Index of prohibited bookes. 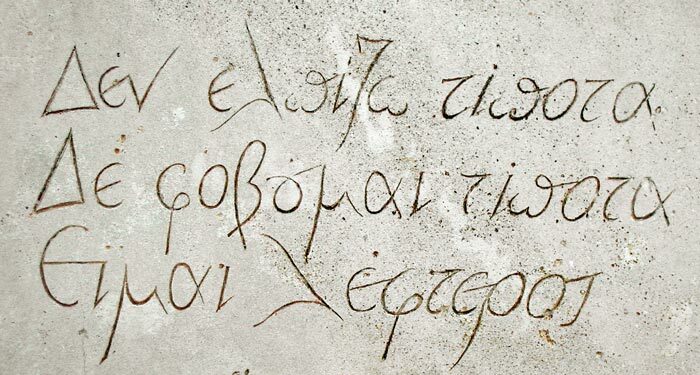 The answer of Kazantzakis to that has been a quote of a Christian writer: Ad tuum, Domine, tribunal appello (meaning in English: "I lodge my appeal at your tribunal, Lord"). 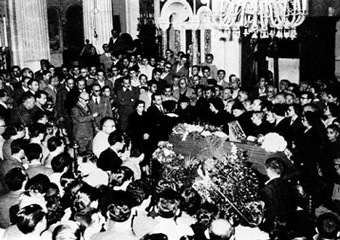 He has also replied to the strong criticism of his work by saying: "You gave me a curse, I give you a blessing: may your conscience be as clear as mine and may you be as moral and religious as I"
But Nikos Kazantzakis did not only provoke waives of critism – he has gained while still alive great recognition. He was recommended along with the Greek poet Sikelianos for the Nobel Price of Literature in 1946, which he lost for one vote. The winner of the Price Albert Camus later said that Kazantzakis deserved the honour "a hundred times more" than himself. 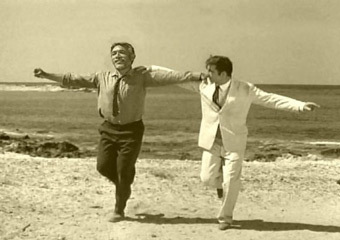 Based on Zorba The Greek Mihalis Cacoyannis has created at which the title character was played by Anthony Quinn. Martin Scorcese has also created a film based on the Last Temptation of Christ, having William Dafoe playing the leading role. I don't see Crete as picturesque, smiling place. Its form is austere. Furrowed by struggles and pain. Situated as it is between Europe, Asia and Africa, the island was destined by its geographical position to become the bridge between those three continents. That's why Crete was the first land in Europe to receive the dawn of cvilisation which came from the East. Two thousand years before the Greek miracle, that mysterious, so-called Aegean civilisation was in full bloom on Crete - still dumb, full of life, reeling with colours, finesse and taste which surprise and provoke awe. It is in vain that we defy the traces of the past. I believe there is an effulgence, a magic effulgence radiating out of ancient lands which have struggled and suffered a great deal. As if something remains after the disappearance of the peoples who have struggled, cried and loved on a patch of land. This radiation from past times is particularly intense on Crete. It penetrates you the moment you set foot on Cretan soil. Then you are overcome by another, more concrete emotion. 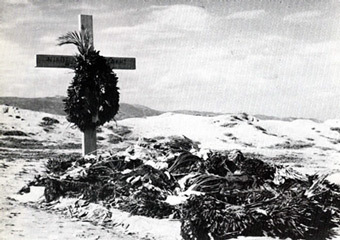 Anyone who knows the tragic history of the last centuries of the island is transfixed when he reflects on the frenzied struggle on that land between men fighting for their freedom and oppressors raving to crush them. These Cretans have grown so familiar with death that they no longer fear it. For centuries they suffered so much, proved so often that death itself could not overcome them, that they came to the conclusion that death is required in the triumph of their ideal, that salvation begins at the peak of despair. Yes, the truth is hard to swallow. But the Cretans, toughened by their struggle and greedy for life, gulp it down it like a glass of cold water. "What was life like for you, grandfather?" I asked an old Cretan one day. He was a hundred years old, scarred by old wounds and blind. He was warming himself in the sun, huddled in the doorway of his hut. He was '"proud of ear" as we say on Crete. He couldn't hear well. I repeated my question to him, "What was your long life like, grandfather, your hundred years?" "Like a glass of cold water," he replied. "And are you still thirsty?"